...and we as women are uniquely able to get help. That's one of our greatest strengths, I'd say. We often ask for help from others. Enthusiastically ask. Actively ask! This makes alternatives to traditional medicine a perfect fit for us women. We're open to new ideas. To learning from the experiences of others. That's the way the information is arranged here for you. Read, view, listen to others on the road they have travelled, and glean something valuable for your own health quest! And, if you're interested in supplementing your diet (I hope it's a healthy one already!) with vitamins especially for a woman's unique needs, here's one I recommend: shortcut to daily women's vitamins. Even the way a woman's body reacts to heart disease differs from a man's symptoms. Follow this link for more on women's heart health. As you may already know, women's life expectancy is longer than men's. 5.4 years, at this point in time. Find out more on women's longevity by reading Dr. Ingrid Waldron's research conclusions here. This naturally-produced hormone protects premenopausal women from atherosclerosis. Interested in nutrition for your bones? Click on the photo above to open that page on this site! Women's bodies are complex, beautiful and mysterious, are they not? We have our own repertoire of health issues--menopause, insomnia, stress, migraines, weight gain, depression, loss of bone density. Quite a lot of potential problems, eh? But don't lose heart. Hot flashes troubling you? Flax seed seems to be effective! Follow this link--flax for menopausal hot flashes. If migraine or tension-type headaches trouble you, please view our tips and tools on the Migraine page. ...but I do understand that an 8-cylinder engine would have less wear and tear than a 6-cylinder one, all things being equal. Women have 8-cylinder engines. How? Our internal organs are larger in proportion to our bodies than the same organs in men. What good news! 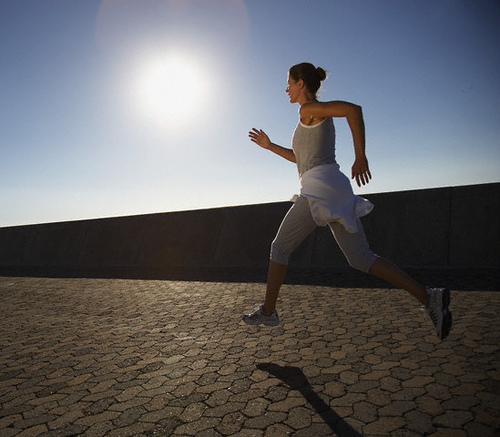 Over the long run, a woman's heart, lungs, liver, pancreas, and digestive system suffer less wear than a man's would. A simple biological difference. Another way we are unique. And, perhaps, another reason for the longevity Dr. Waldron found.